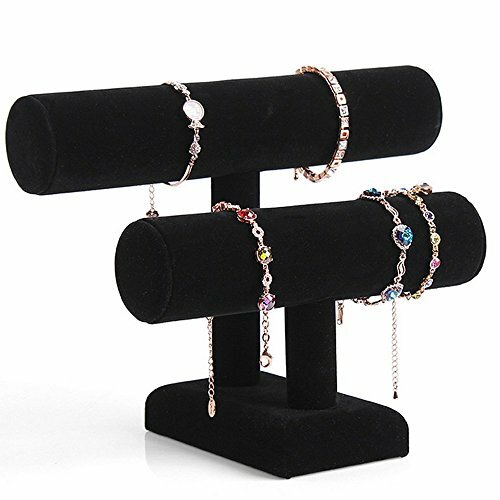 Due to its design and shape, this jewelry display can be placed anywhere in your store or room, from the storefront window, to the shelf, the countertop, display case, and to the dressing table in your bedroom. Regardless of where you place it, this display helps you to keep your bracelets, necklaces and watches organized, so they no longer get mixed up, tangled, or lost. Whether you own a jewelry store, or you just love to have a large collection of bracelets and watches, you still need to keep everything organized. 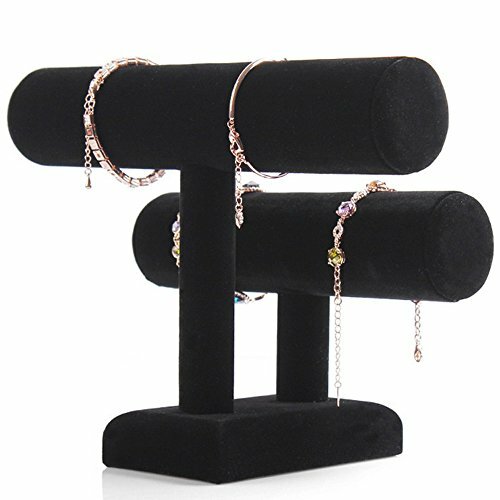 This time, you can have this chic Black 2 Tier Velvet Bracelet Organizer T-bar Jewelry Display Bangle Tower. It looks fantastic, and it gives an elegant touch to the place and to the showcased jewelry and accessories. 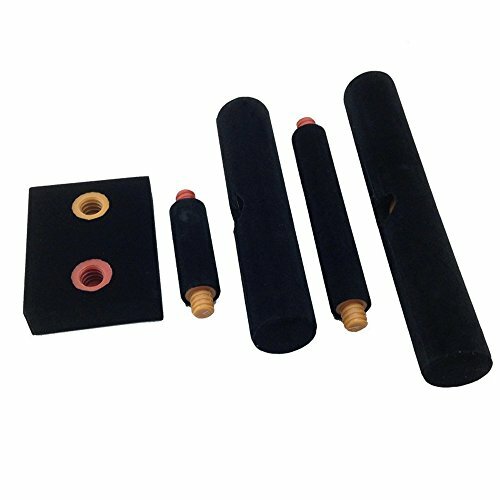 This display is covered with a black velvet, which offers an exquisite look to the display and to your bracelets and watches. In addition to the elegant appeal, it also protects your jewelry and accessories from potential scratches, as it gives a soft feeling at the touch, which will keep your items safe when you display them on this tower. 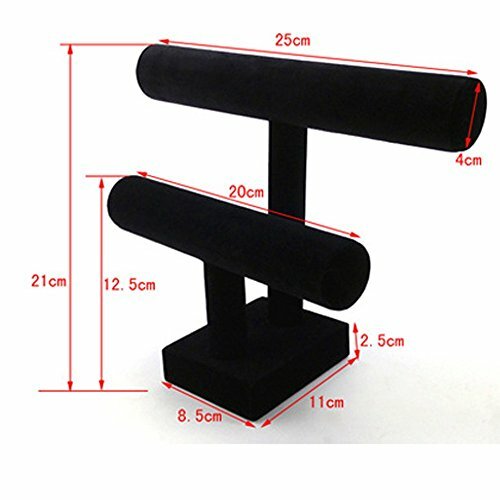 It features a simple design, with two T-bars, which are placed one behind the other, on a rectangular shaped, solid base. 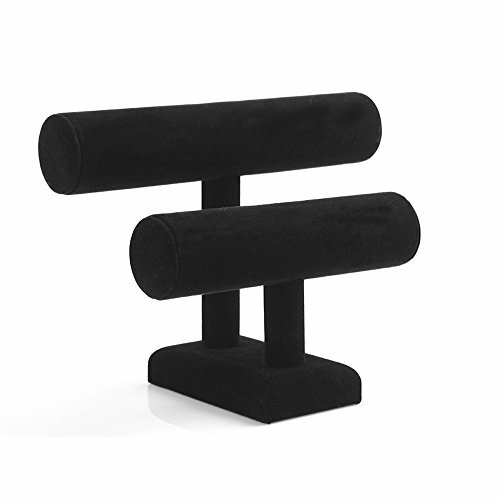 The base is sturdy enough to offer a great stability of this jewelry and accessory display. Once you arrange your favorite bracelets and watches on the two tiers of this display, they’ll become visible to your target audience, so they will be able to clearly see all the showcased items.